Only a few years ago, Ottawa-born Stacey Bafi-Yeboa was a professional dancer, gracing the stages of Broadway and stealing movie scenes. But she found she had no comfortable yet fashionable clothing to dance in. 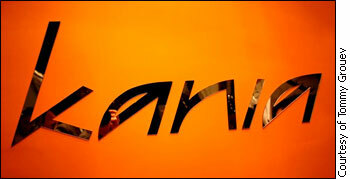 Bright hopes: Kania’s grand opening in November 2009. Today Bafi-Yeboa walks under a different spotlight. Through solo effort and self-education, she launched the clothing line Kania four years ago. The line focuses on feminine, street style clothing that women can feel comfortable in, and is available throughout Canada and as far away as Chicago. And in November 2009, she opened her first Ottawa boutique, likewise called Kania, on York Street. But Bafi-Yeboa isn’t alone. She is an example of a new trend in the nation’s capital: the resurgence of retail culture in the Byward Market. When it comes to fashion, there has been an increase in small, owner-operated fashion boutiques like Kania. 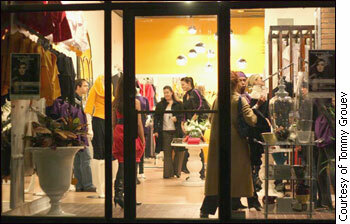 A “boutique” refers to a small shopping outlet, particularly one that specializes in elite, quality items. According to the Byward Market business improvement area, there are over 60 retailers in the Market that specialize in couture, fashion and clothing. And there are nearly 40 other shops that sell clothing as part of their merchandise. The Byward Market – one of Canada’s oldest and largest markets – is a district in Ottawa’s downtown, bordered by Sussex Drive on the west and Cumberland Street on the east. Cool and hot: Like other boutiques, Kania aims at a niche clientele. Jasna Jennings, executive director of the Byward Market business improvement area, says the Market is trying to go back to its retail roots. Established in 1826, the Market started out as a retail hub where consumers could purchase such staples as farm and food supplies, says Jennings. However, she says, by the 1970s and into the early 1980s, the Market struggled due to a big shift of population from the urban core to the suburbs. Large shopping malls were subsequently built in the suburbs, and new shopping patterns developed. “[People] were slowly moving away from small, independent shops to the big one-stop grocery stores, instead of going to the butcher, baker,” says Jennings. As a result, an ailing Market turned to reclaiming nightlife as one solution. For some time, the Market has been recognized for its food and bar scene. But in recent years, Jennings says, the Market is hoping to bring back smaller boutiques to add colour and variety to the area. “A mix is necessary for the vitality and prosperity of the Market,” says Jennings. And members of the local fashion scene say they want to be part of this retail resurgence. This emerging Market boutique culture has largely come to fruition on Dalhousie Street. The arrival of boutiques has transformed Dalhousie into what some nickname “Ottawa’s Soho,” offering a bohemian, New York-inspired atmosphere to its clientele. Along Dalhousie Street, it is clear there are several fashion boutiques contributing to this movement, including Young Janes, Victoire and Workshop Studio + Boutique. “People have gotten used to different price points and getting something local, something that is unique. There’s a real movement towards wanting products touched by the hands of artists, not from sweatshops,” says Christina Ballhorn. Ballhorn is a co-owner of Workshop Studio + Boutique, which opened its doors in 2005. The artist-owned boutique was originally meant to provide a space where Ballhorn and business partner Bridget Remai could sell their creations, as independent designers, and remain living in Ottawa. The emergence of a Market boutique culture corresponds to a growing market demand for fair-trade quality items. Ballhorn says that her boutique focuses on products, hand-made by women, that are as local and as ethically-produced as possible. Also there is the uniqueness factor. “Just from what I’ve seen, I think people are just tired of looking like everyone else. It’s so easy to go somewhere and get something, and five other stores have it,” says Bianca Wahab, a Kania employee. Wahab, a graduate of Richard Robinson Fashion Academy on Sussex Drive, is a new designer hoping to provide unique items to Ottawa’s fashion community. 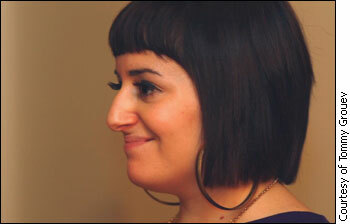 Along with working at Kania, she also registered her own company, Hartby, in June 2009. Hartby is a unique leather-accessories line of handbags, clutches, belts and similar items – all of which she custom makes herself. Inside Kania. Despite their charm, small boutiques in the Market face stiff competition from chain retail stores. However, Jennings says, there are lingering concerns about the survival of retail in the Market, despite new stores consistently being encouraged to come set up shop there. “The stores that we do have, well, we’d be remiss to say that they’re not in competition with big retailers,” says Jennings. This is especially true beyond the consumer who already shops in the Market and is willing to pay for unique products, says Jennings. For instance, local quality products mean more expensive price points compared to a big-boxed store, while downtown parking may also be considered a drawback by some. “Technically, if you make something on your own, it’s going to be higher priced than a big boxed store. So you need people who are going to purchase it,” says Wahab. Jennings also says restaurants generally pay more to rent space in the Market than a retail store would, because they make more revenue. As a result, owners of Market buildings are often more eager to draw restaurants as tenants. But the fashion boutiques in the Market are looking to find ways around such challenges. Ballhorn says the camaraderie shared among local designers and boutiques is critical, to try and grow fashion boutiques in the nation’s capital. “The way Ottawa is, I find most of the things that happen in terms of arts and culture, we have to band together and share resources,” says Ballhorn. Describing them as a “tight bunch” that work well together, Jennings says Dalhousie boutique owners have developed strategies such as annual Dalhousie Night around Christmastime, combined sales between stores and bringing in live entertainment. In the meantime, changing perceptions of Ottawa’s fashion personality will also be key to bringing in more independent boutiques in the Market, says Wahab. “It’s definitely years behind. But I think it’s also because of people’s interpretations of Ottawa. People have always seen it as lower. For so many years, it’s always been Vancouver, Montreal, Toronto. I think more people need to start opening up to Ottawa,” she says.